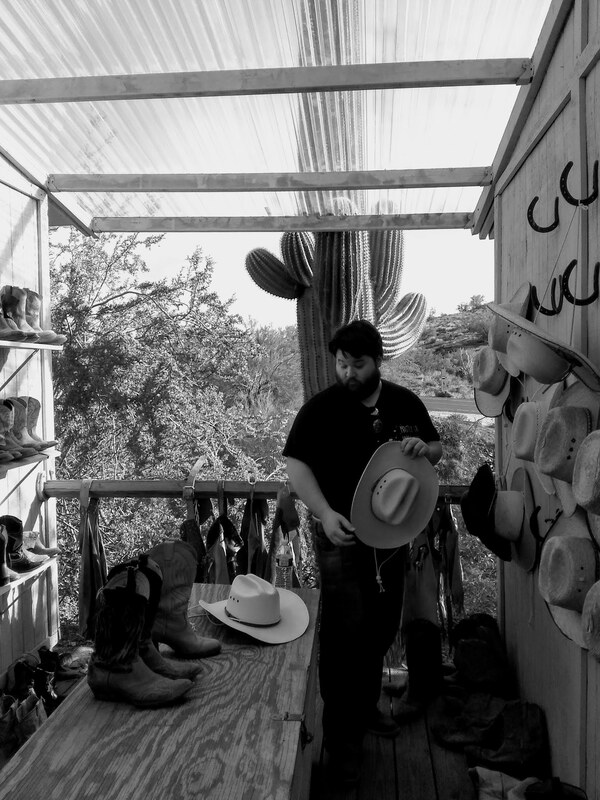 Katharine got a candid moment of me selecting hats for the trail. None of them fit that well. I’m back in Illinois, and the snow is back here, too. 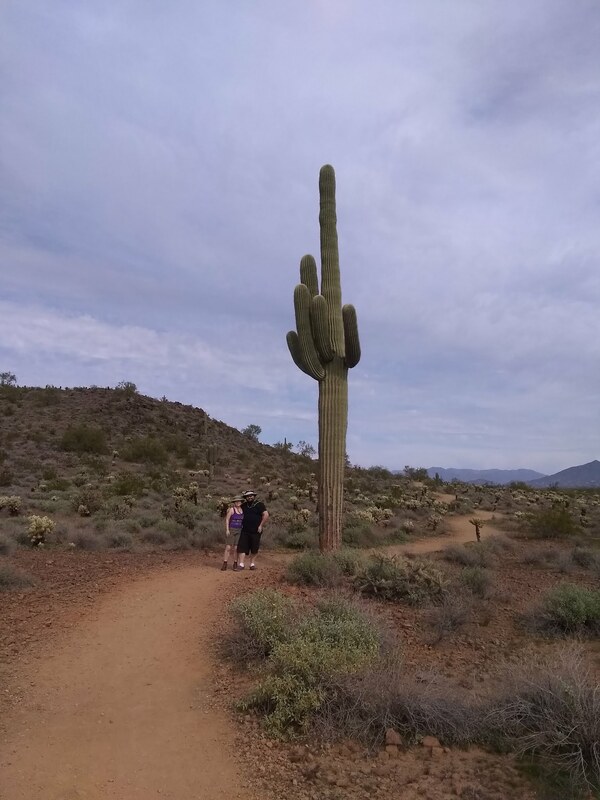 I was glad to go see my cousin and her bouncy little toddler, but I’d be lying if I said the primary motivation wasn’t to take my pretty gf to introduce her to the saguaros, who were all delighted to meet her. We went hiking up a trail I hadn’t been to the end of the first time I went – that one was the source of the last post’s charming flora. Funnily enough, it was the site where she messaged me – before we were dating – teasing me about not being in the office. I was able to respond with a photo of the sweeping desert at dawn. 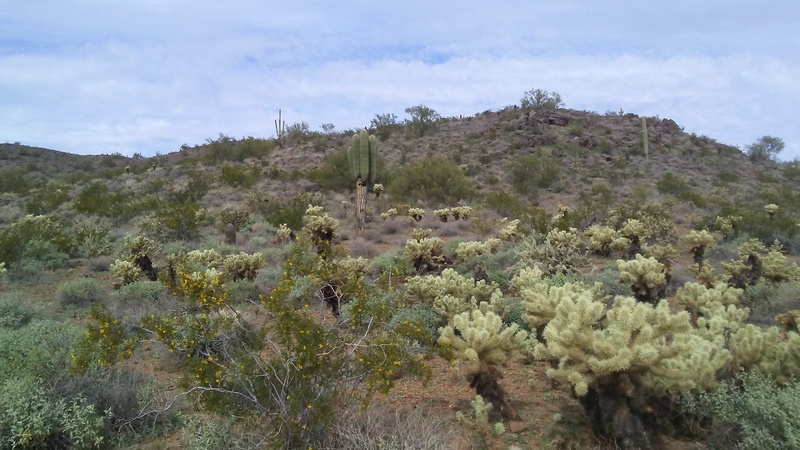 The Sonoran is a unique place – greener than you’d think if you’ve never been there. I could really get used to it, I think, especially when the winters are no cooler than an overnight low of 40 or so. 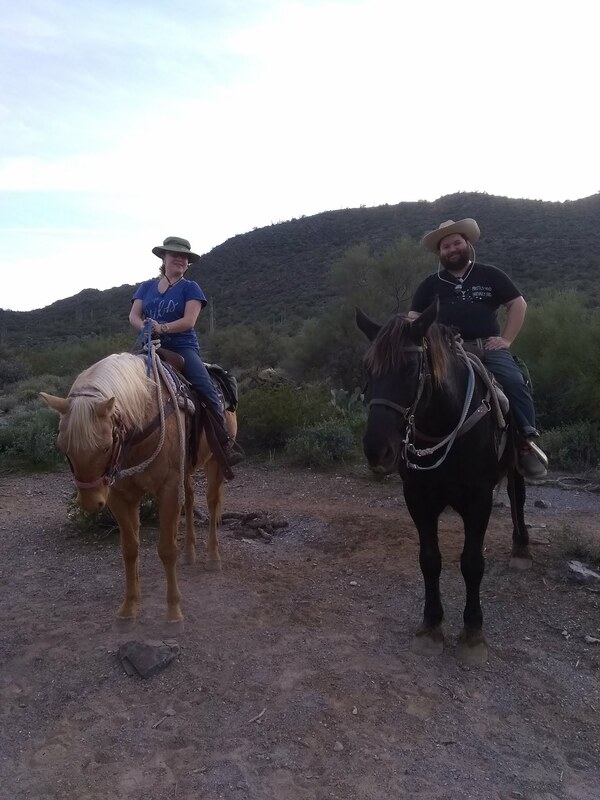 The other major thing I discovered this time was that every video game designer and fantasy author should really go on a horseback ride. It’s pretty revealing how difficult and tiring the activity is, even for the dumb sap sitting on top of the horse doing none of the heavy lifting. 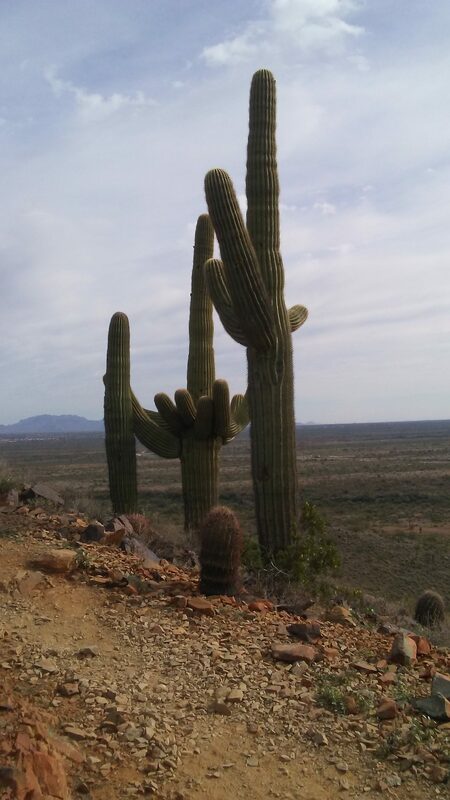 The saguaro stood perfectly still. Maybe the tiny mammals would just skitter away from her if she didn’t move. 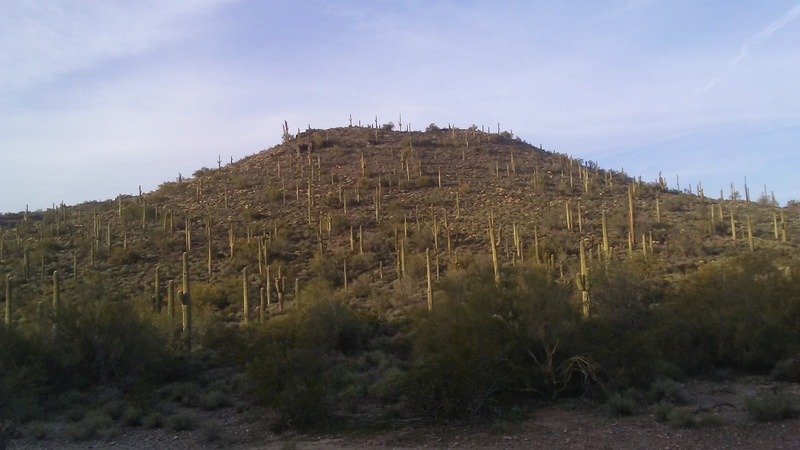 The chollas ambled up the hill, hooting and hollering into the noonday sun. 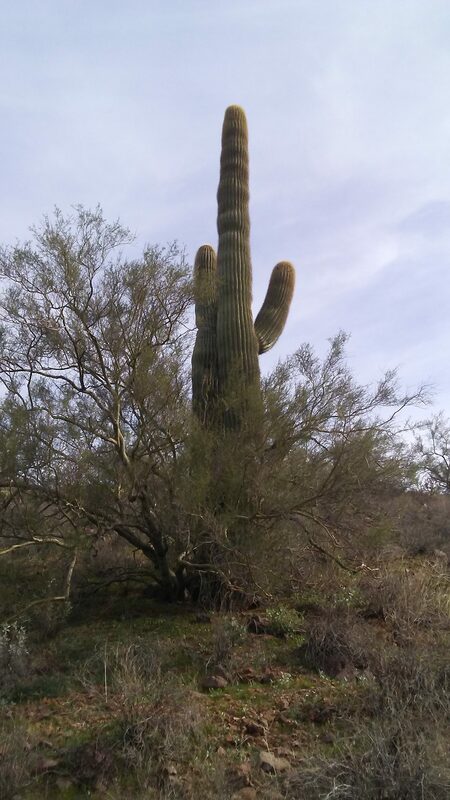 The saguaro was certain he was well-hidden. Besides, he thought, human sight is movement-based.